This performance is linked to the event Devon 2018. First submitted Tuesday, 7 August 2018 at 18:36:23 by Brian E Whiting. 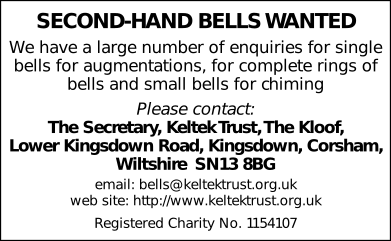 Sent for publication in The Ringing World on Sunday, 2 September 2018 at 18:16:40.